The parliamentary route of lawmaking was bypassed when the President incorporated Article 35A into the Constitution. Article 368 (i) of the Constitution empowers only Parliament to amend the Constitution. So did the President act outside his jurisdiction? 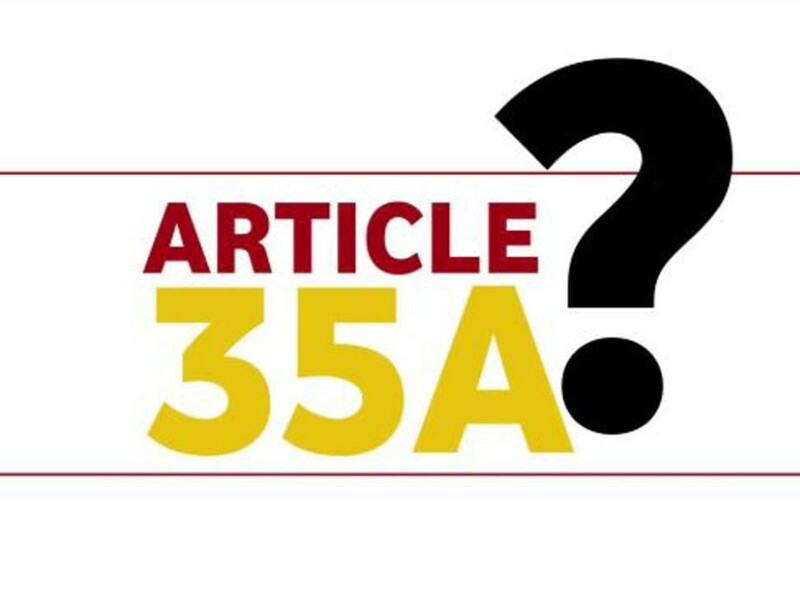 Is Article 35A void because the Nehru government did not place it before Parliament for discussion? A five-judge Bench of the Supreme Court in its March 1961 judgment in Puranlal Lakhanpal vs. The President of India discusses the President’s powers under Article 370 to ‘modify’ the Constitution. Though the court observes that the President may modify an existing provision in the Constitution under Article 370, the judgment is silent as to whether the President can, without the Parliament’s knowledge, introduce a new Article. This question remains open. A writ petition filed by NGO We the Citizens challenges the validity of both Article 35A and Article 370. It argues that four representatives from Kashmir were part of the Constituent Assembly involved in the drafting of the Constitution and the State of Jammu and Kashmir was never accorded any special status in the Constitution. Article 370 was only a ‘temporary provision’ to help bring normality in Jammu and Kashmir and strengthen democracy in that State, it contends. The Constitution-makers did not intend Article 370 to be a tool to bring permanent amendments, like Article 35A, in the Constitution.